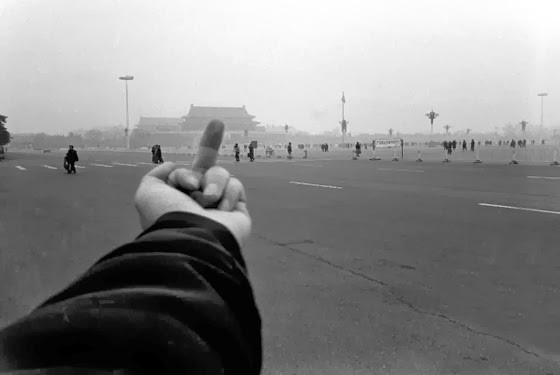 From the series "Study in Perspective” (1995-2003) © Ai Weiwei. Over the past week or so, The New York Times has run two stories   on the floral war Ai Weiwei is waging against the Chinese regime. At issue is the fact that the government has impounded Ai's passport, preventing him from traveling. It seems that the flowers carry pretty much the same message as the photo lifted above.